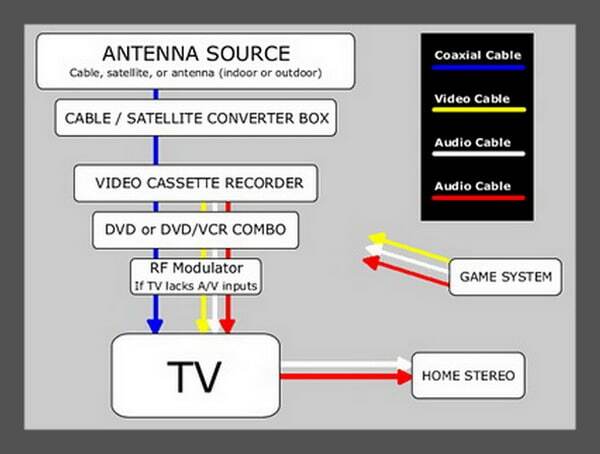 Connecting many different media components to your TV can be a challenge. Hooking up a DVD player, Blu-Ray player, ROKU player, Apple TV, Stereo Tuner, DVR, Cable Box, SAT Box, Sound Bar, Digital Converter, Home Theater, Streaming Media Player, Audio Receiver, or Surround Sound to a television is easy if you connect one media device at a time. It can be done without confusion if you have all cables needed and you organize the cables neatly. Pay attention and route all the HDMI and other cables so they are organized and hidden from view. Label the cables so you know which cable goes where. This will help you if you ever need to disconnect a media device. Make sure your TV is OFF before you begin connecting any cables to it. Be sure you have all media components and the proper cables before you begin to connect anything to your flat screen Television. Use a power strip with built in surge protectors to plug in all of your media devices. This is to protect all the electronic components if there is a power surge or lightning strike. Begin connecting one media device at a time. Plug the media device into the surge protector power strip. Repeat this step until you have all media devices connected. Try to run the cables in the same area to keep them organized and hidden from view when you are watching TV. Once all of your media devices are connected, use cable ties to keep them all together and organized. If you choose, label each wire with what it is connected to, this way you will be able to easily know which cable is which. When all media devices are connected, get your TV remote and turn the TV on. Test each component with the remote control for that media device. Write down which media device is connected to which input so you know which input on the TV to change to when you are going to watch a DVD or connect to a ROKU for example. Some TV’s let you go into the MENU and label each input so you know which input is for what media component. 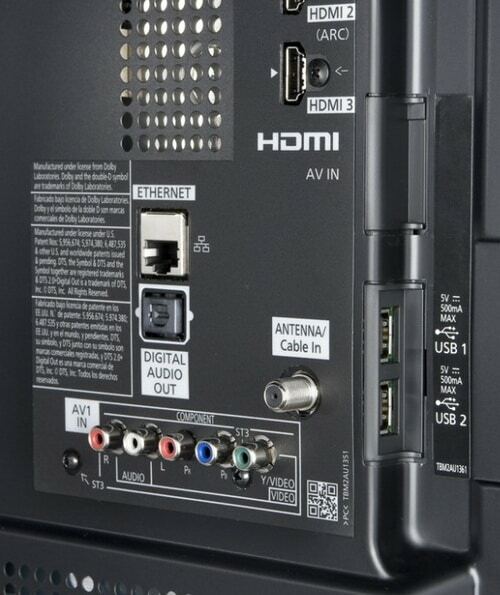 Back of TV – Where to connect cables? 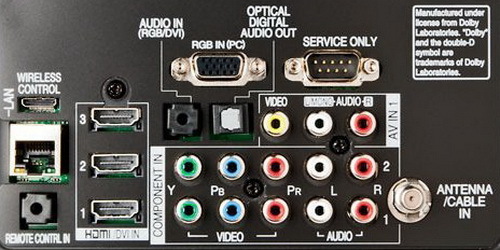 NOTE: If your television or other component is equipped with Red and White audio video jacks, it is a STEREO model and the cables should be connected as into the correct inputs. If your unit lacks a Red A/V jack, it is a MONO unit and you can simply disregard the Red cable and connections. Need help hooking up a media or component to a TV? Please leave your question below and we will be happy to help. Can’t find the code for Avision 32k785.